Visa-Free Travel Between Bahrain And India ? Home Sections Money & Business Visa-Free Travel Between Bahrain And India ? Bahraini diplomatic and private passport holders can now enjoy visa-free travel to India. Allowing the privilege is a new mutual exemption from entry visa for diplomatic and special/ official passport holders signed by Bahrain and the Republic of India. Originally signed on 15 August 2018, the deal entered into force on Wednesday, the Ministry of Foreign Affairs said in a statement. The deal, Ministry of Foreign Affairs said, reflects the mutual desire of Bahrain and India and their keenness on enhancing bilateral relations at all levels. A similar arrangement has been made by the Kingdom with China, with the agreement effective on 25 October 2018. Bahrain News Agency, quoting the Ministry of Foreign Affairs said, the deal allows diplomatic and special passport holders a 90-day stay from the date of entry, according to the Ministry of Foreign Affairs. All persons who wish to enter Bahrain need a visa except citizens of the Gulf Cooperation Council (Kuwait, Oman, Saudi Arabia, United Arab Emirates). An official statement clarifies that visas for the Kingdom of Bahrain are classified according to several different characteristics: sponsorship requirement, “Standard” or “eVisa”, multiple or single entry and place of issue. As of October 2014, 113 countries from around the globe are eligible to apply for eVisas for visiting Bahrain, which can be obtained by paying a total fee of BD29 or USD77, according to the eVisas website. Once approved, the document allows the holder to stay in the Kingdom for 1 month. An extension can be obtained for another 2 weeks by visiting NPRA in Bahrain. (Some nationalities can stay longer). The Visit eVisa is able to be used for multiple entries. eVisa approval usually takes 3 to 5 working days. The Kingdom extends visas on-arrival facility to 66 countries. 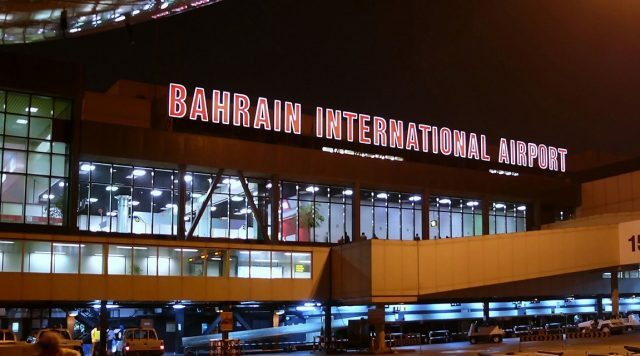 GCC residents, according to officials website, enjoy the right to get eVisa for 1 month, if travelling through Bahrain International Airport, which, however, is not required to be stamped in passport prior to arrival in the Kingdom. A person of any nationality who has a Resident Permit for a GCC country in their passport is eligible for a GCC eVisa. An extension can be obtained for 2 weeks by visiting NPRA in Bahrain.